2G Spectrum Scam Verdict: Will it help Congress to regain power? Home Analysis 2G Spectrum Scam Verdict: Will it help Congress to regain power? 19th December 2017 is the date which now hold significance for UPA and its allies. The date marks the end of the trial of 2G spectrum scam. The 2G spectrum scam was the starting point of UPA’s decline and first of many scams to come. The date though will be remembered by the Congress and its allies in UPA II as the date of vindication. 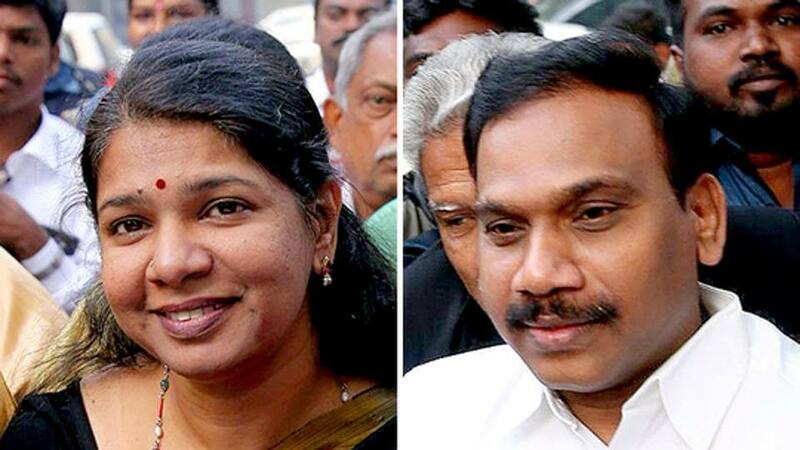 The special court in its verdict of acquitted all the accused, including the then IT minister A. Raja and Kanimozhi. With the verdict, Congress leader Kapil Sibal came out questioning the former CAG controller Vinod Rai about the CAG report. The report played the important role of quantifying the loss to the government. It put the loss around 1.76 lakh crore to the exchequer. The loss in terms of reputation damage was much larger. As Time magazine puts it just behind the Watergate scandal of Richard Nixon in its list of most influential scandal. In 2007, the Department of Telecommunication (DoT) started the process of auctioning of 2G spectrum in India. The process was completed in early January of 2008. In 2009, an NGO filed a complaint with Central Vigilance Commission (CVC) regarding alleged irregularities in the auctioning process. The scam came into the limelight after Controller and Auditor General (CAG) presented its report on the auctions and highlighted many irregularities in the same. The pressure from opposition and Courts resulted in the resignation of Telecommunication Minister A. Raja. The CBI was involved by then and made arrests of telecommunication secretary Siddharth Behura and RK Chandolia. Another big politician name included in this was Kanimozhi, the daughter of DMK supremo M.Karunanidhi. The scam was presented as the biggest yet. The opposition Bhartiya Janta Party launches a scathing attack on UPA government. It alleged that PM Manmohan Singh and Home Minister P. Chidambaram knew about the scam as well and thus is accused of shielding A. Raja. Subramaniam Swami, leader of Janta Dal(S) then filed a case against PM Manmohan Singh also in the Supreme Court followed by one against P. Chidambaram. Also Read - Gujarat Elections 2017: Will AAP be able to win a single seat in Gujarat ? The scam was used in the 2011 Tamil Nadu elections by the AIADMK against the DMK government, as both A.Raja and Kanimozhi belonged to DMK. AIADMk went on the win the elections. The scam was also used in the 2014 elections by the BJP as one of the testaments to corruption in UPA government. The CAG report brought out the scale of the scam in public view. The report was prepared in the year 2010 the CAG. Then CAG director Vinod Rai faced flack from the government also regarding the report. The government alleged that it was out of the purview of CAG to audit or comment on the Policies of the government. The CAG, in turn, replied with examples from previous incidents where it had done so. The report left the UPA government red-faced in Parliament and in Courts. The report was cited by the Supreme Court in its verdict of 2012. The Supreme Court in the 2012 verdict had canceled 122 licenses given out by DoT under A. Raja over irregularities in the procedures followed. The report along citing irregularities in procedures followed also quantified the loss to the government. The CAG report focused on the procedural irregularities and undervaluation of Spectrum. In its major findings, CAG reported how DoT ignored the suggestions from Prime Minister’s Office, The Financial Ministry, and Law ministry. It also stated that DoT arbitrary changed the date of submissions on very last moments and then gave licenses to ineligible companies such as Unitech Group. The report in its financial terms reported that policy followed of First come First Serve(FCFS) was not followed properly. The entry fee was also calculated very low. The report states that the entry fee was fixed on as same as that calculated in 2001 but should have been increased as telecom market had grown in years that followed. To support this claim the report also gave incidents where Telecommunication Company offered revised revenue to the government but DoT refused it. As the scam came into the light, the opposition started attacking the government on its stand against corruption and demanded resignations. The first to fall was the telecommunication Minister A. Raja, who was a minister from DMK in UPA. Another big name in the scam was of Kanimozhi, another DMK leader. She was accused by CBI of keeping in touch with A.Raja in deals which saw Shahid Balwa, an industrialist accused of bribing in the scam, invest in Kalaignar TV. The TV was owned by Kanimozhi and her family. Industrialists such as Unitech chief Sanjay Chandra, DB Realty founder Vinod Goenka, Anil Ambani, his wife Tina Ambani along with three senior executives of Anil Ambani controlled DAG, Gautam Doshi, Hari Nair, Surendra Pipara and Ayushman and Ravi Ruia of Essar group was questioned. Subsequently, Sanjay Chandra, Vinod Goenka, Ayushman and Ravi Ruia were charge sheeted by the CBI. In 2014 Lok Sabha elections campaign, BJP and then PM candidate Narendra Modi used the scam against the Congress. BJP also accused that Manmohan Singh was involved in the scam and shielding A. Raja. 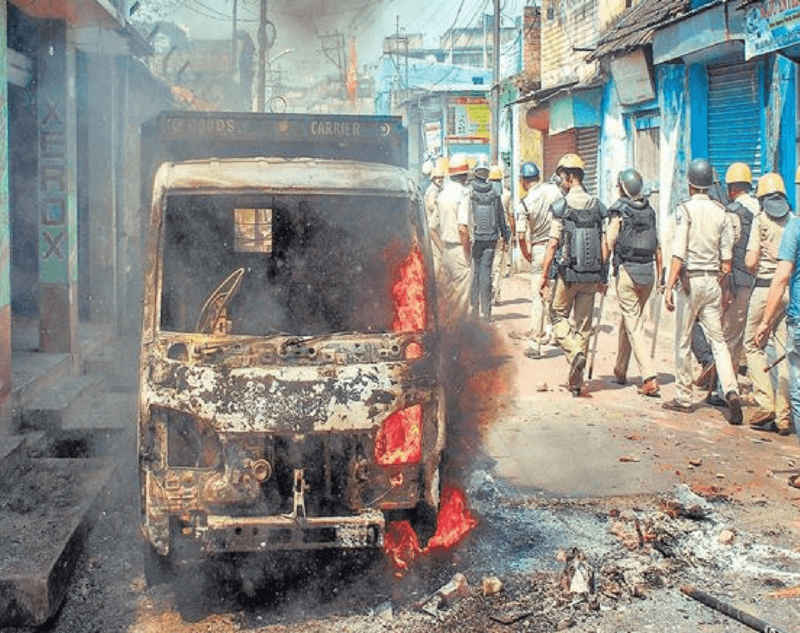 The Special Court in its verdict acquitted all the accused as it found that there was no substantial evidence otherwise. The special judge OP Saini remarked that the prosecution failed miserably to prove any of the allegations and also questioned the CBI whether it was serious regarding the same. In the verdict, he also said that in the recent years CBI and prosecution seemed less prepared to fight the case. In the verdict, Judge also wrote that files are also opened and closed too quickly in a haphazard manner by the DoT.Confusion in guidelines and procedures also added to the difficulty in understanding the situation in the case. Also Read - Why Congress is unable to defeat BJP in Gujarat? Will 2G spectrum scam verdict help any political parties? The verdict could not have come out in a better time for Congress. They were already on high after the results of Gujarat and now they have another victory in their hands. Congress leaders were quick to attack the CAG and BJP on the issue. Kapil Sibal coming out and demanding an apology from Vinod Rai. For Congress, it is more than moral victory as they now will question the BJP stance on corruption and also presents the case that they were not corrupt but were just portrayed as one by BJP. Congress will now look to go on the offense against the BJP on their corruption and what have they done in their tenure. For BJP it is just another setback after the Gujarat election results. For me, BJP which came on the wave of anti-corruption sentiment is yet to deliver on that. Though BJP boasts its corruption-free record in last 3 years its action on corruptions sells them short. The Mallaya case, Demonetisation and getting money from abroad has not yet materialized. BJP seems now on the back foot for the first time now in their tenure. The real winner from all this will be the Dravida Munnetra Kazhagam(DMK). DMK was struggling ever since the 2G spectrum scam. Then they lost the two subsequent assembly elections in Tamilnadu and then took a beating in 2014 Lok Sabha elections as well. They also had fighting in the party as well between Karunanidhi and his son Stalin but the return of two leaders will now boost them. A.Raja and Kanimozhi before their involvement in the 2G spectrum scam were powerful leaders in DMK and Tamilnadu politics and their return will give strength to DMK. The departure of Jayalalitha and the infighting that followed it has weakened the AIADMK. Now with the return of their leaders, untainted will surely have DMK in a strong position. Previous articleCan BJP win Karnataka elections 2018? Next articleGujarat and Himachal Election Results 2017-Will this affect 2019 election?